nd saying Good Night nd Sweet Dreams. 153 Dunia mein reh kar sapnon mein kho jao. Tireness draws across the mind making the body fade flexibility and soon windows of soul begin 2 close N enter the dreamland!! Sweet Dreams! 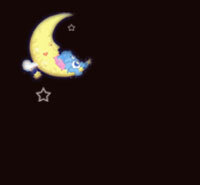 da starz r out, da moon is up, 1 more HUG, 1 more smile, KISS u once, KISS u twice, now itz time 4 bed. Close ur @@ eyes, n sleep tite! Welcome aboard2 "Sweet Dreams" airline, all passengers on bed, hug ur pillows as the flight will be leaving soon 2dream land. Enjoy ur time G'NITE! wish that God would hold u tite. i hope that angels will keep u in site. Now just2make sure u feel all rite, i'm gonna wish u a wonderful nite! sleep tite!! You may think that I forgot you. You may think that I don't care, and you may think that I'm not thinking of you. Well, you're wrong. You're still in my dreams. I know right now you are thinking of me and you probably got a million things to do. But I guess you should know that the whole time you were busy, I was worried about you. So take care and good night. I may be gone for a minute, for hours, for a day. I may not be able to say good am, good pm or good night but I'll never try to say goodbye to a person who has been sweet and true. Good Night. As u go 2 bed 2night, I ordered bats 2 guard u tight. I told some ghosts to dance in white, & 2 make sure u r alryt, i'LL ask the dracula 2 kiss ur neck goodnight..